Apostolic Titbits: The Most Important Question of Your Life? Life After Death! The Most Important Question of Your Life? Life After Death! A wealthy and a powerful king called the wisest man in his court, asking him to find the greatest fool in his kingdom. 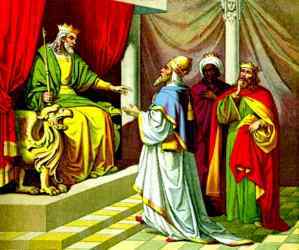 The king handed the fool's staff to the wisest man. And each day the wisest man went to all the domain of the king to find the greatest fool in his kingdom. One day the king took a important decision and made an announcement of deep regret. As the wisest man was the chief aide for the king and a right hand man, he rushed back to the king's palace where he was lying in his death bed suddenly. The king said, "I am about to commence on a long long journey. I shall not return, Except I don't know my final destination." Immediately the wise man sprang in to action and gave the king his own fool's staff. This parable applies to you and me because one of these days we will commence on that long long journey. This is a journey that we must travel and there is no escape from it. We will depart this life. My question to you today is, "TO WHERE YOU WILL GO AFTER DEATH?" If you have received JESUS as your personal Savior and Lord, then you will know deep within your heart that you will be in heaven after you die, just as Jesus Christ has promised in His Word (John 14:2-3). Those who have not received Jesus before their death as their Savior and Lord will end up in hell fire because of sin (John 3:18-20; 8:24). Live for Jesus and tell others to answer this most important question in their life before it is too late.